Please find below a list of the major new features and improvements in AODocs version 45. Rollout pace: Full rollout from 12 December 2017. 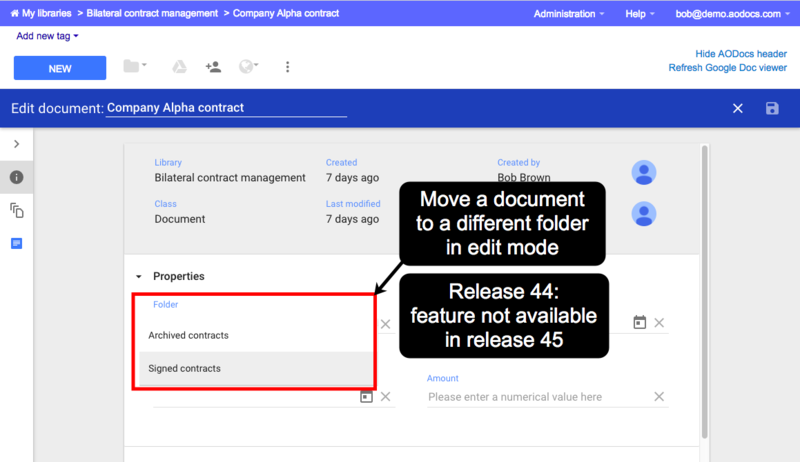 Reminder: AODOcs version 44 introduced a redesign of how to manage version control in workflows. 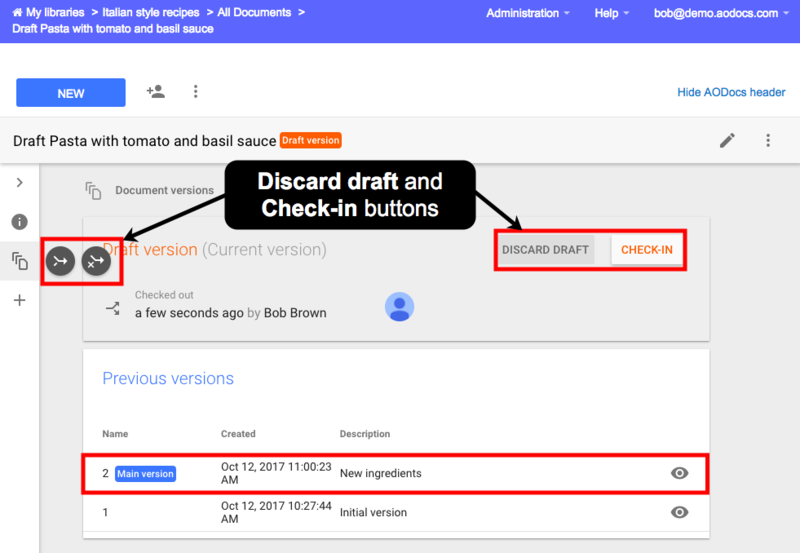 Building on the redesigned workflow, version 45 introduces a new discard checkout transition on draft workflow states. 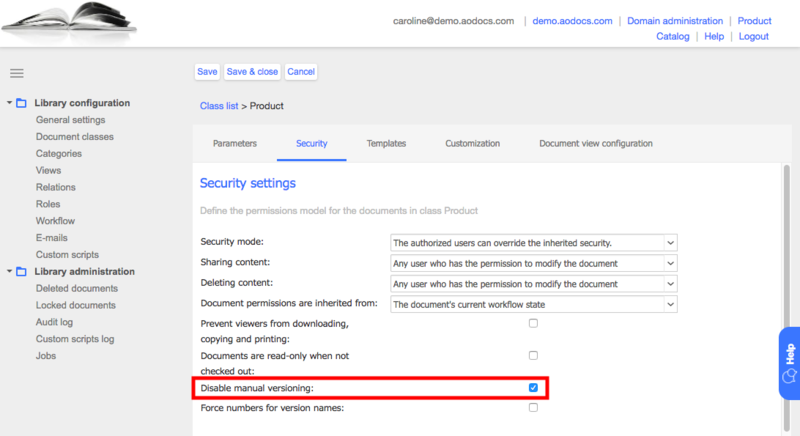 Release 45 introduces a new security setting at the document class level: Disable manual versioning. Library administrators can prevent users (themselves included) from creating any manual versions. 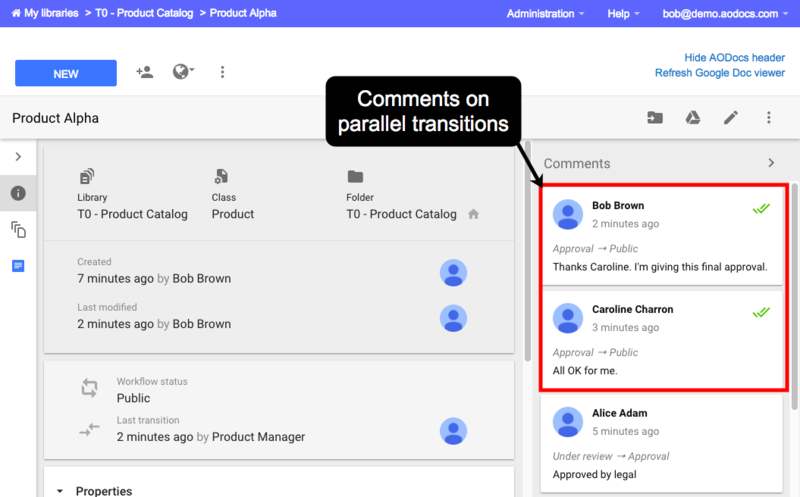 On parallel workflow transitions, all validators can leave a comment. If comments are mandatory, all validators are forced to leave a comment. 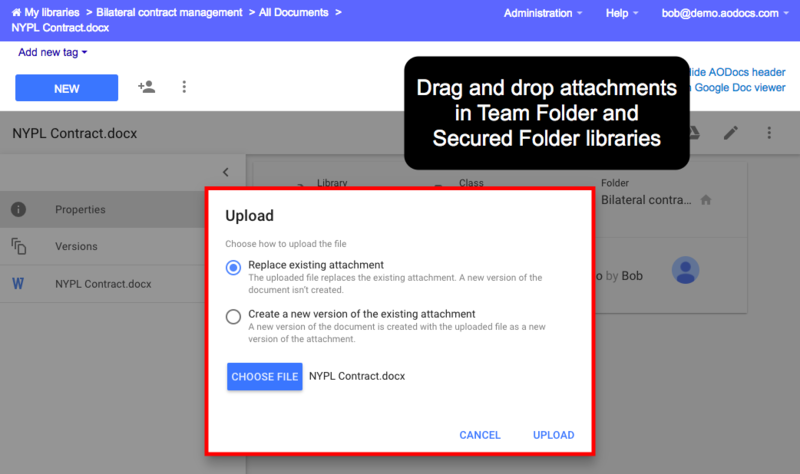 You can drag and drop attachments (non-Google files only) to Team Folder libraries and Secured Folder libraries. 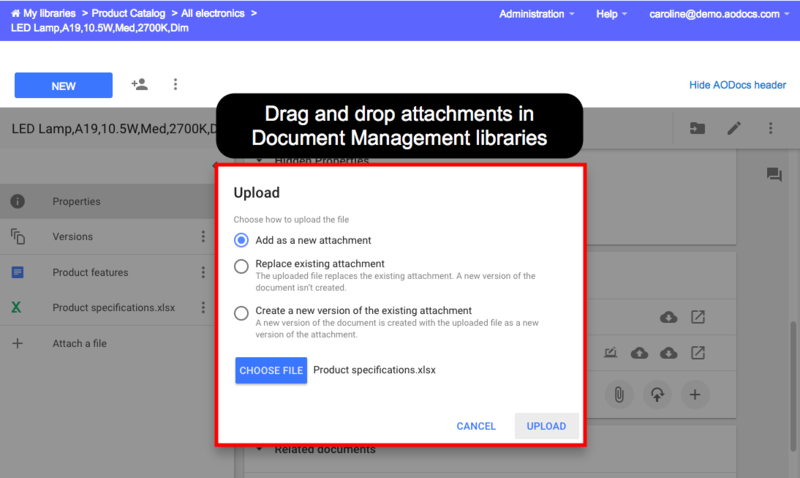 When you drag and drop attachments in Document Management libraries, the Upload pop-up opens if the the document already has an attachment with the same name and the same Multipurpose Internet Mail Extensions (MIME) type as the file selected for upload. In Document Management libraries, you can rename attachments when an AODocs document is in edit mode. 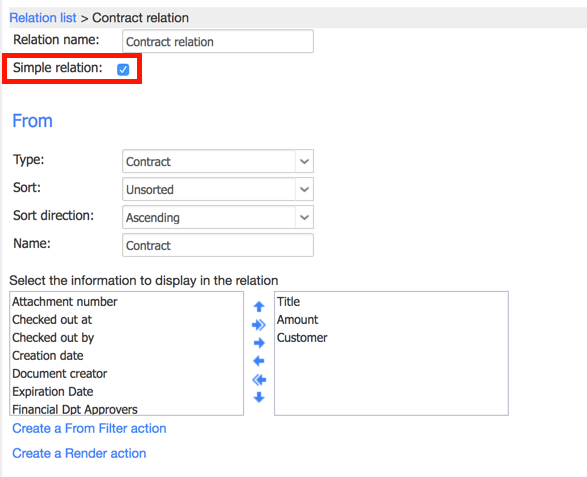 You can add related documents in the Properties panel without entering edit mode. Library administrators can configure simple relations to link documents belonging to the same document class. On the AODocs homepage, the side navigation and the Create library button have been redesigned. In the Versions panel of the main version of a document (that has been checked out), the check-out banner isn’t displayed to users who don’t have access to the draft version. 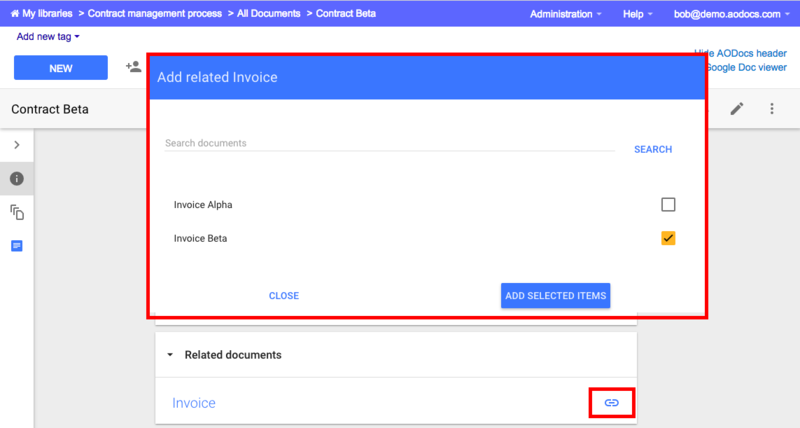 On the document page, some of the options from the action bar have been moved to a new action bar. You can no longer move a document to a different folder in edit mode. As of release 45 you can change the folder only via the Folder selection pop-up. 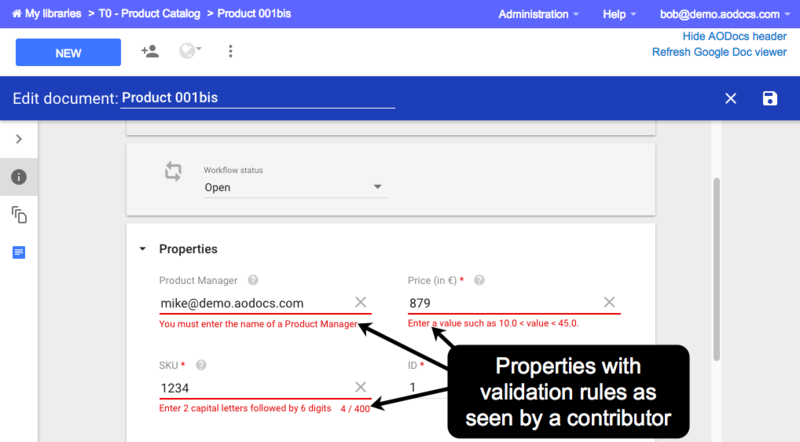 In the Properties panel of the document page, the sections of a document are separated. 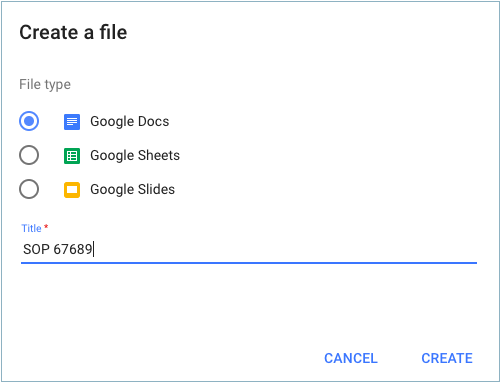 The Create a file pop-up in Document Management libraries has radio-buttons. 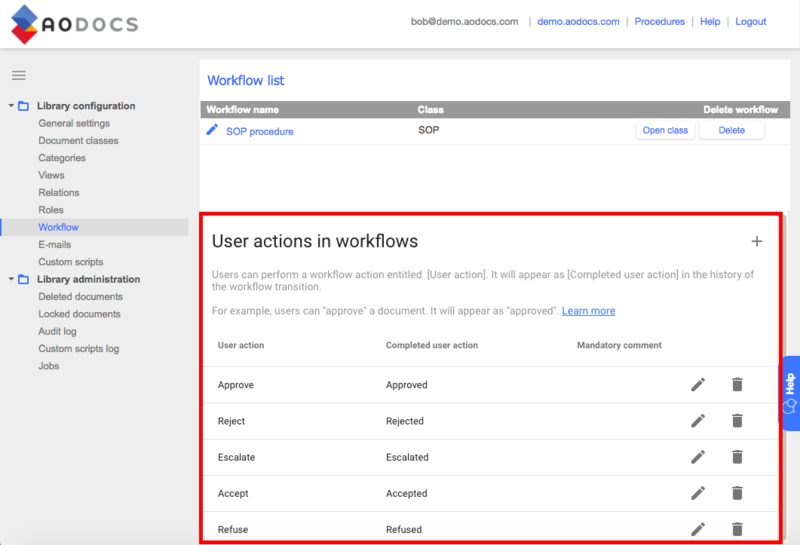 The User actions in workflows panel has been revamped. You can set category values to outdated, so they can no longer be used. You can set the time zone at the library level. 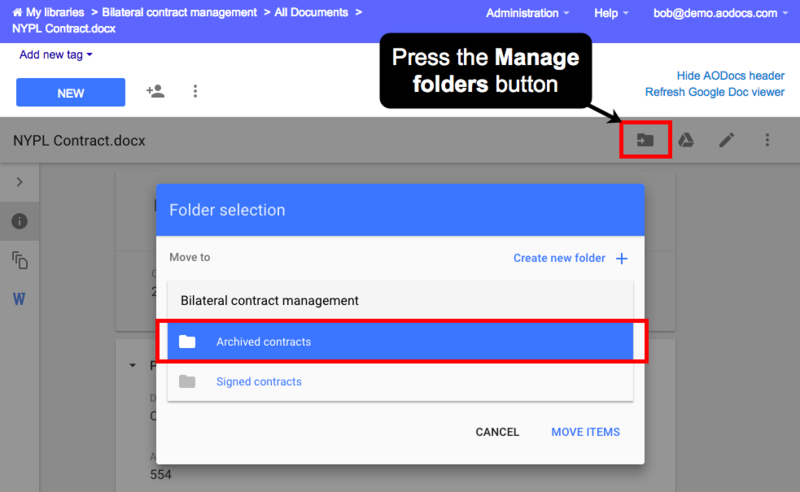 The Can comment permission at the workflow state level is available in Secured Folders. Trashed documents have been re-organized in the My Drive of the storage account. Security codes are kept for one week after the expiration date. Super administrators can reactivate an expired security code by changing its expiration date. Hidden properties are now displayed only to administrators in workflow emails. 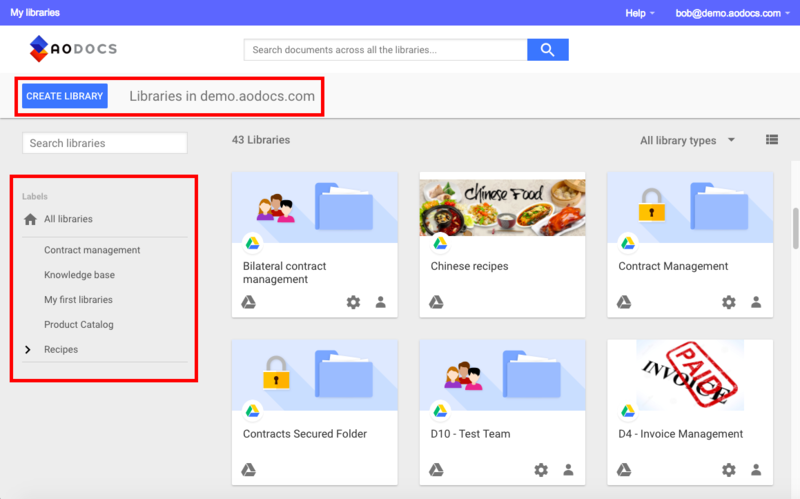 Save your favourite libraries in the AODocs homepage and sort them by last accessed time. 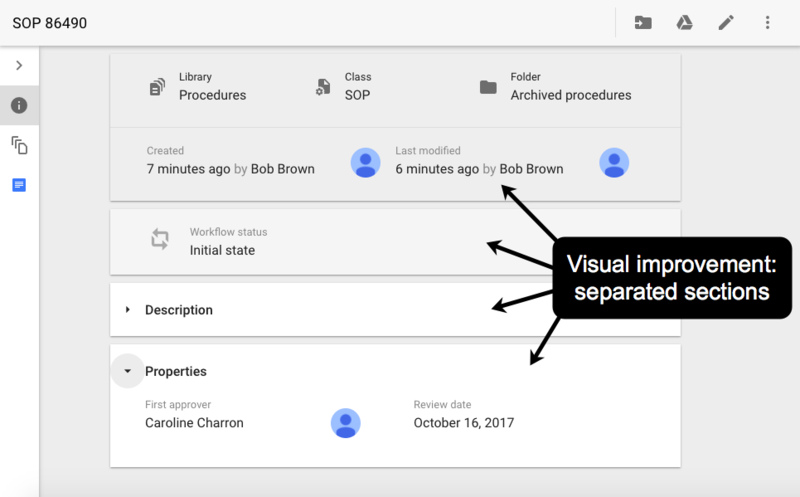 Display the history of workflow transitions for a document. Extended configurability of the document page.